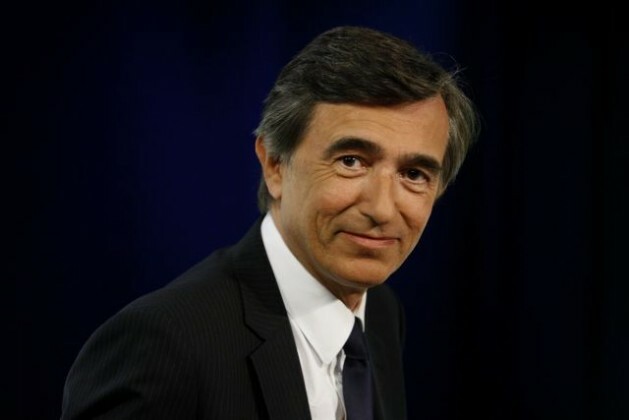 Nora Happel interviews Philippe Douste-Blazy, U.N. Under-Secretary-General in charge of Innovative Financing for Development, chair and founder of UNITAID and former French foreign minister. UNITED NATIONS, Jul 9 2015 (IPS) - Implementation of the ambitious post-2015 development agenda which will be adopted in September 2015 at the United Nations depends to a large extent on funding. Amidst preparations for the upcoming 3rd International Conference on Financing for Development (FFD) to be held from July 13 to 16, 2015 in Addis Ababa, Ethiopia, discussions centre on “innovative financing mechanisms” as stable and predictable instruments to complement traditional Official Development Assistance (ODA) and fill funding gaps at a time when global growth is flagging and most donor countries are facing increasing budgetary pressure. We must fight against the scandal of a world where 870 million human beings are malnourished, a world where nearly 30 percent of children on the African continent suffer from chronic malnutrition, leading to backwardness at school and a cruel loss of growth. Conceived in the early 21st century in the context of the adoption of the Millenium Development Goals (MDGs), the idea behind the concept is to “invisibly” raise important amounts of income to correct imbalances and provide funding for the most urgent development needs such as eradication of extreme poverty and the promotion of education and global health. The mechanisms involved range from government taxes to public-private partnerships. A prominent innovative finance example is the global health initiative UNITAID. UNITAID is funded primarily through a one-dollar solidarity levy on airplane tickets. The income raised is spent on global measures to fight malaria, HIV/AIDS and tuberculosis. A more recent example is the Financial Transaction Tax (FTT). It is currently seen by governments as both a tool to curb financial speculation and a mechanism to raise considerable revenue – which could be used to finance for development. Ongoing plans on an EU FTT to be implemented in 11 willing EU countries might prove as the next step in innovative finance. In an interview with IPS, Philippe Douste-Blazy, U.N. Under-Secretary-General in charge of Innovative Financing for Development, chair and founder of UNITAID and former French foreign minister, shares his insights on the FTT and innovative finance mechanisms shortly ahead of the upcoming Conference on Financing for Development and the adoption of the Sustainable Development Goals (SDGs) later this year. Q: Which role does innovative finance play in the context of the negotiations on the post-2015 development agenda? A: 2015 is a historic year because three great international conferences will take place which are vital for the future of the world: the Addis Ababa conference on Development Finance, the General Assembly of the United Nations where the international community will launch the Sustainable Development Goals and the COP21 on climate change in Paris. In all three cases, the scenario will be the same: a magnificent political agreement but without any financial means to back it up. I want to sound the alarm! If we fail to find innovative financing now, at a time when the world has never had so much money but the gap between rich and poor is constantly widening, the 21st century will end in extreme violence. Q: Financing for development requires considerable financial resources. Is the FTT a suitable tool to raise the necessary funding compared to other innovative finance tools? A: Finance is currently one of the least taxed economic sectors. It is absolutely surprising when you know the terrible impact this sector had on international development because of the 2008 economic crisis. Implementing a painless percentage tax on financial transactions could generate hundreds of billions worldwide and as a result, be positively decisive on the fight against extreme poverty, pandemics and climate change. We are now living in a completely globalised world and those threats are upon every citizen of the world. Globalised activities and exchanges should then contribute to international solidarity. That is what we had in mind with President Chirac and President Lula when we implemented the solidarity tax on plane tickets. People are travelling more and more, so levying a small portion of the price of their tickets offered the opportunity to improve the access to life-saving treatments all around the globe. FTT follows the same logic. Financial needs are considerable and we need to take the money where it is. Innovative financing tools shouldn’t be positioned as rivals, they should instead be seen as complementary. Q: UNITAID invests the funds raised by means of global solidarity levies to fight HIV/AIDS, tuberculosis and malaria. What are your results at UNITAID in combating these diseases? A: First, UNITAID’s investments helped create the market for some key more effective HIV treatments in 2007, by bringing the prices down from 1,500 dollars/year to under 500. Second, through support to the Global Fund and UNICEF, UNITAID contributed to the delivery of over 437 million of the best antimalarial treatments, helping the global community to reduce deaths by 47 percent since 2000. Third, a 40 percent price reduction for the cartridges of an important new test for tuberculosis (GeneXpert) was negotiated for 145 countries, along with USAID and the Bill and Melinda Gates Foundation. This has saved over 70 million dollars within two years for the global community and has enabled a significant contribution to the 30 percent annual increase in detection of drug resistant TB cases. Q: Could you tell me about your planned new project UNITLIFE? What is it about and at what stage are the preparations for this project? A: We must fight against the scandal of a world where 870 million human beings are malnourished, a world where nearly 30 percent of children on the African continent suffer from chronic malnutrition, leading to backwardness at school and a cruel loss of growth. Faced with this scourge which decimates generations, destabilises societies and severely penalises nations, notably in Africa, we have the duty to imagine a response combining efficacy and solidarity: this is why we want to launch UNITLIFE. UNITLIFE is based on a simple principle: allocating to the fight against malnutrition an infinitesimal part of the immense riches created by the use of extractive resources in Africa in such a way that the globalisation of solidarity matches the globalization of the economy. So far six African Heads of State accepted such a principle. As UNITAID is hosted by the WHO, UNITLIFE will be hosted by UNICEF. Q: How does a future FTT implemented in the 11 European countries need to look in order to be beneficial and effective? How do you assess for instance the examples of the French or Italian FTT? A: French and Italian FTT are really disappointing. They are not fulfilling the expectations neither in terms of regulation nor about revenues. It seems that French and Italian governments were just concerned by the defence of their financial sectors. The exemptions that are organised are preventing the tax from touching the most speculative transactions. Derivatives, market makers, intra-day and high frequency trading are not taxable with the two models whereas they’re the most dangerous. Furthermore, it’s in taxing these instruments that a FTT would levy the most resources. For the same reasons, a European FTT that wouldn’t be applied on foreign shares will be highly disappointing. Instead of being scared of the reaction of financial sectors, the 11 political leaders must show real ambition and design a strong FFT with a broad scope and preventing loopholes. Q: How can you make sure that a certain percentage of the money raised by the tax will be spent on development? A: Seventeen percent of the French FTT is already allocated to climate and pandemics. President Hollande said he will allocate a part of the European FTT to the same causes; let’s hope that the portion will be bigger! Heads of State committing together on a joint allocation to international solidarity. Using the FTT revenue to finance multilateral funds like the Global Fund, the World Health Organization or the Green Fund would be the best way to be sure the money raised is actually spent on development. And today when I see those tens of thousands of migrants trying to cross the Mediterranean, which is becoming the world’s biggest cemetery, I want to underline that the only solution to massive immigration from poor to rich countries is to provide what we call Global Public Goods (food, potable water, essential medicines, education and sanitation) to every human being. If Those That Control Us Don’t Stop Creating Poverty, the 21st Century Will End in Extreme Violence. FTT Creates Poverty. I want to thank Dr Ariba for helping me get cured of my hiv/aids diseases, for like 4 yrs Now I have been suffering from hiv/aids , but one day as I was surfing through the Internet I met a post about a lady who was cured by Dr Ariba so I decided to give it a try to see if he could save my life Luckily for me I was cured by him. I cannot stop thanking him for what he has done for me if you are into similar problem you can contact him via: email on draribaspelltemple@gmail.com OR dr.aribaspelltemple@outlook.com….